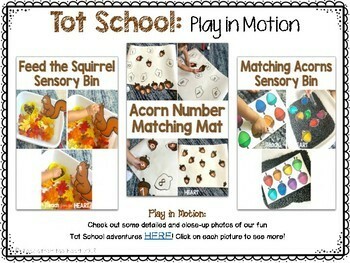 Make Tot School fun and exciting without the hassle of planning each activity! 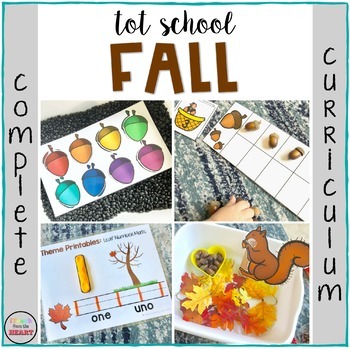 This COMPLETE CURRICULUM Fall unit contains 1 week of engaging lessons and activities. It is designed for toddlers 2-3 years old and can be used at home with your little one(s) or in a preschool classroom setting. Each lesson can be adapted to Spanish. 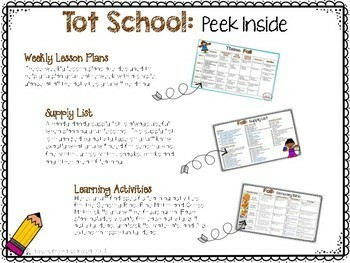 Spanish resources and printables are included in this set! To see how we used this theme in our home/class, check out our blog post!